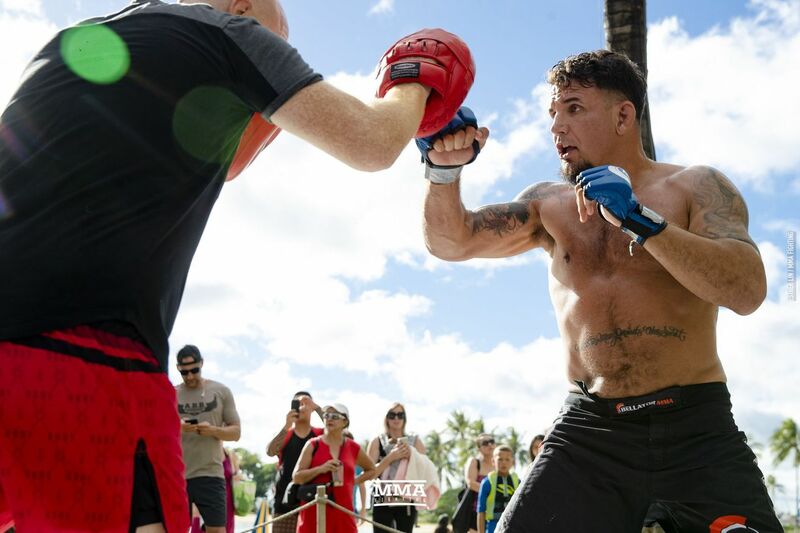 The cross-pollination between pro wrestling and MMA, with many from each world moving to the other, will continue as former two-time UFC heavyweight champion and current Bellator fighter Frank Mir will make the move to pro wrestling in April. Mir, 39, was announced on Friday as debuting for Josh Barnett’s Bloodsport, a unique version of pro wrestling, for a show that takes place on April 4 in Jersey City, N.J. at White Eagle Hall. The date is part of the biggest pro wrestling week of the year, as companies from around the world will be holding events in New York and New Jersey in the days prior to WrestleMania on April 7 at MetLife Stadium in East Rutherford, N.J. and a combination New Japan/Ring of Honor show the night before in Madison Square Garden. Bloodsport is a staged but very stiff and more realistic-looking version of pro wrestling, held on elevated mats but with no ropes, based on the fighting surface in the 1988 martial arts movie “Bloodsport.” The style itself was somewhat based on the old UWFI pro wrestling promotion that was popular in Japan in the early 90s, which Barnett was a huge fan of growing up. The style is based on hard strikes and submissions, and without playing to the crowd or using moves that don’t work in a real fight, like most versions of pro wrestling. It’s more of a dramatic form of simulated fighting than the audience-participation art form of pro wrestling. Like with the old UWFI, most of the participants on the show would be pro wrestlers who had extensive training in some form of legitimate combat. The first Bloodsport event took place last April in New Orleans, as part of WrestleMania week, and featured former UFC fighters Matt Riddle, Tom Lawlor and Dan Severn, as well as Japanese MMA pioneer and pro wrestling Hall of Famer Minoru Suzuki. Mir, considered in his prime as one of the best heavyweight submission artists in MMA history, has competed in submission grappling, including with Quintet in 2018, but this would be his first move to the pro wrestling world, even in an untraditional version.